We are committed to working with health partners to deliver innovative community health management based programs to improve quality of life for those living with chronic disease, and health and wellness challenges. Collaborating with others means the ability to create resources for people faced with turning points in their health journey. We believe good health is a necessity, not a luxury regardless of life circumstance. 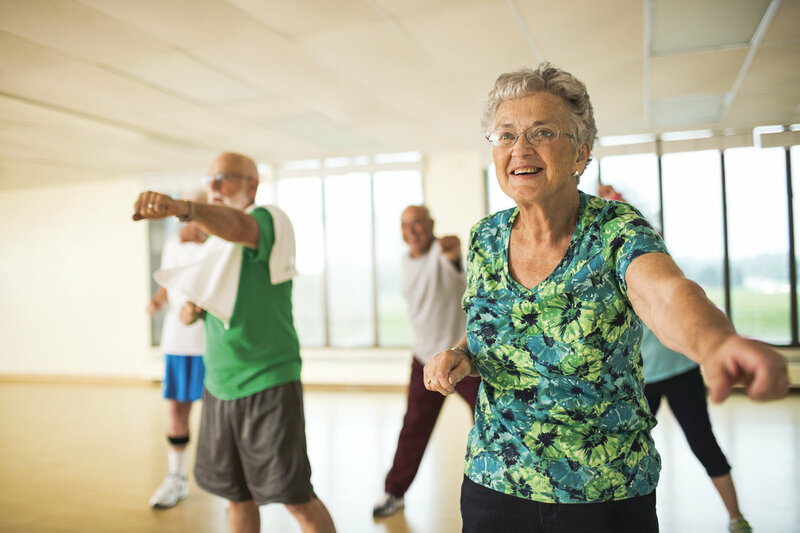 A respiratory maintenance program, Fitness for Breath is designed to help individuals who have chronic lung disease, such as COPD (chronic obstructive pulmonary disease), pulmonary fibrosis, or chronic asthma, achieve and maintain a healthy, active lifestyle. Fitness for Breath will provide you with weekly classes to help you maintain your fitness routine. This program does not replace pulmonary rehabilitation. Fitness for Breath is a partnership with the Ontario Lung Association. For more information and to register, please go to the membership desk at your YMCA. The program is for YMCA of Niagara members and runs at the Walker Family, Niagara Falls, and Port Colborne Health, Fitness and Aquatic Centres. All participants can try their first month of the program free of charge. The program is supported by a grant from the Ministry of Tourism, Culture and Sport. In partnership with the Alzheimer’s Society, Minds in Motion is eight- week program which consists of up to one hour of physical activity programming and up to one hour of fun recreational/mentally stimulating activities. The program is for persons with early to mid-stage Alzheimer’s disease or other dementias, and their care partners. Participants do not have to have a formal diagnosis to participate. Care partners may be the participants spouse, child, grandchild, sibling, friend, etc. Care partners are required to participate in the program with the participant. There is a $40/pair cost for the program payable upon registration to the Alzheimer’s Society. For more information and to register, please contact the Alzheimer’s Society of Niagara Region at (905) 687-3914. The exercise component of Niagara Health System’s Cardiac Health and Rehabilitation Program is facilitated at four of our branches across the region; in Niagara Falls, St. Catharines, Welland and Fort Erie. For more information on the program, please go to www.niagarahealth.on.ca. This partnership has benefited thousands of patients over the past seven years.